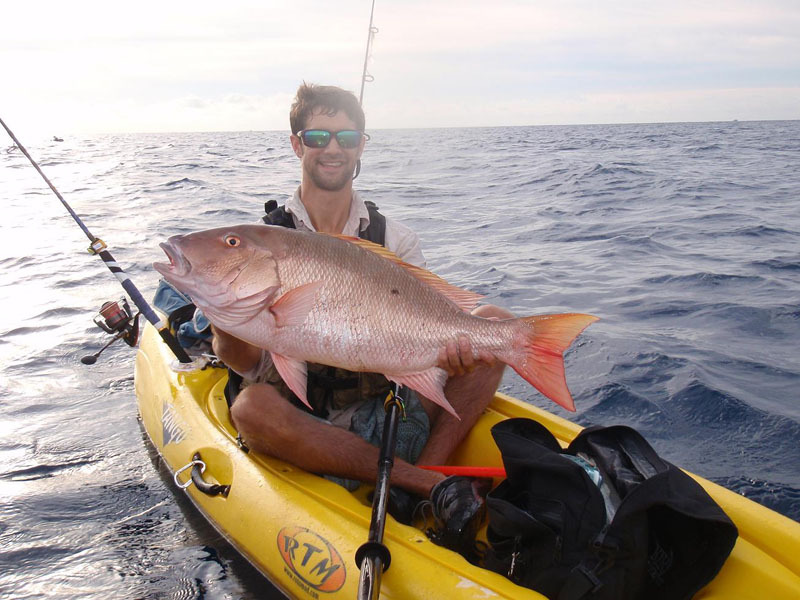 Welcome to our Jigs and Spoons page where you will find more highly productive Tormenter Products. Our jigs are the MOST Productive, Best Quality, and Lowest Priced Jigs on the market! cheapo jigs so you will use ours and see the difference! 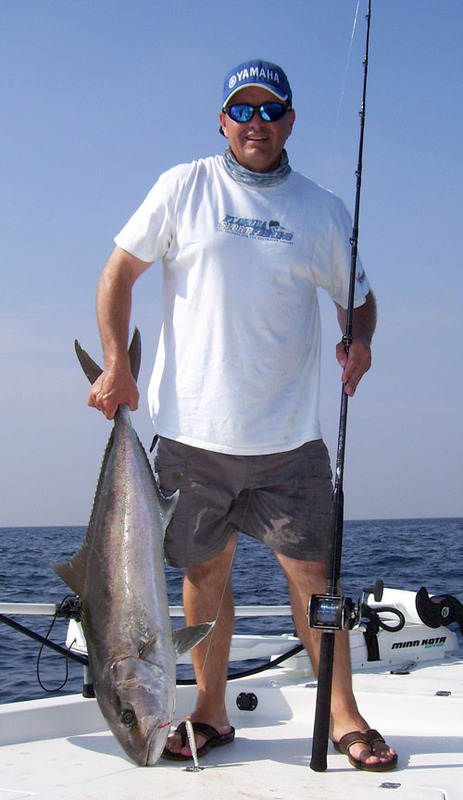 Wahoo, Tuna, Dolphin, King Mackerel, Tormenter Jigs will out perform most others. Tormenter's New Falling Leaf Jig! Great action. Durable Paint Jobs. 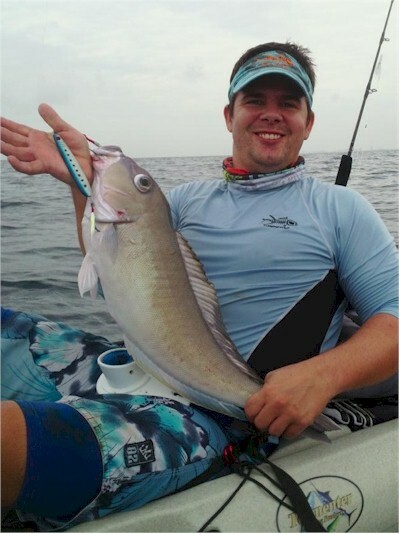 Excellent hook sets made with Mustad Hooks. What a jig! This one is probably the MOST Productive 2 - 5 ounce jig you can find anywhere! plated hook or our super strong assist hook. Now Only $7.99 with with Super Strong & Ultra Sharp Assist Hooks! by one of the "Top Hook" boats out of St Pete!!! 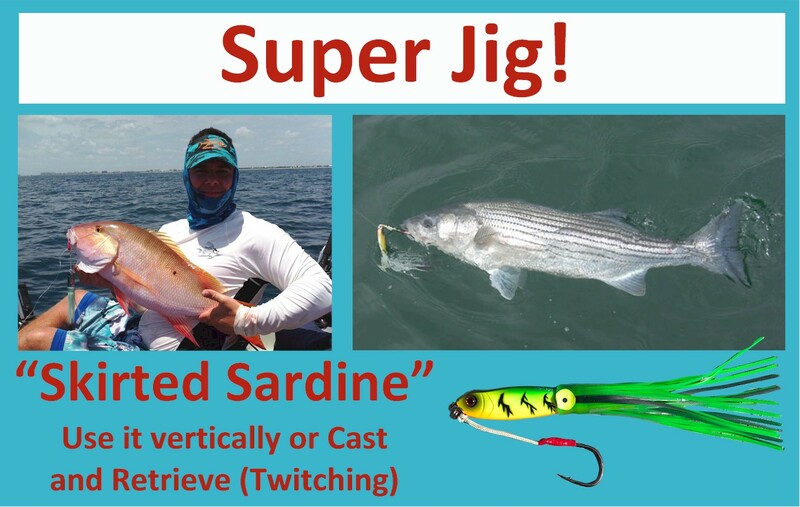 Our very productive Sardine model is now available Skirted and rigged with our 5/0 Dacron Jigging Hook. caught on the first one we rigged. The Mutton on tyhe left was caught almost a year later in June 2013.
the time my non-fisherman brother in law was complaining that the spinning reel was a "left handed reel". 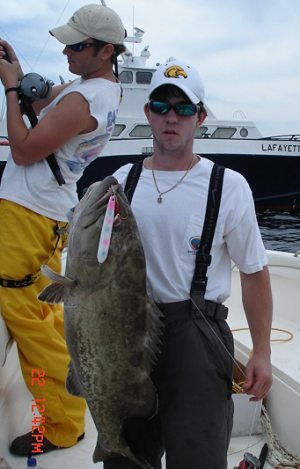 and Chubby Jr, while I was using my favorite, the Ballyhoo. Meanwhile, my brother in law made us look silly! 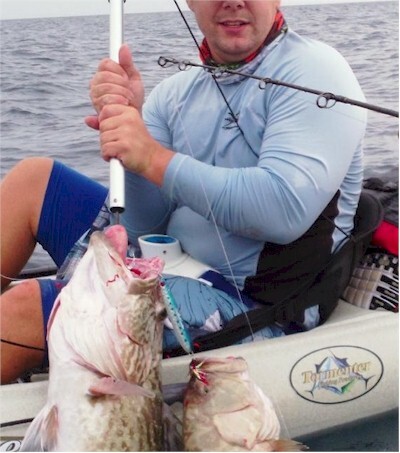 June, I hammered Striped Bass off of Chatham, MA with the same exact jig. 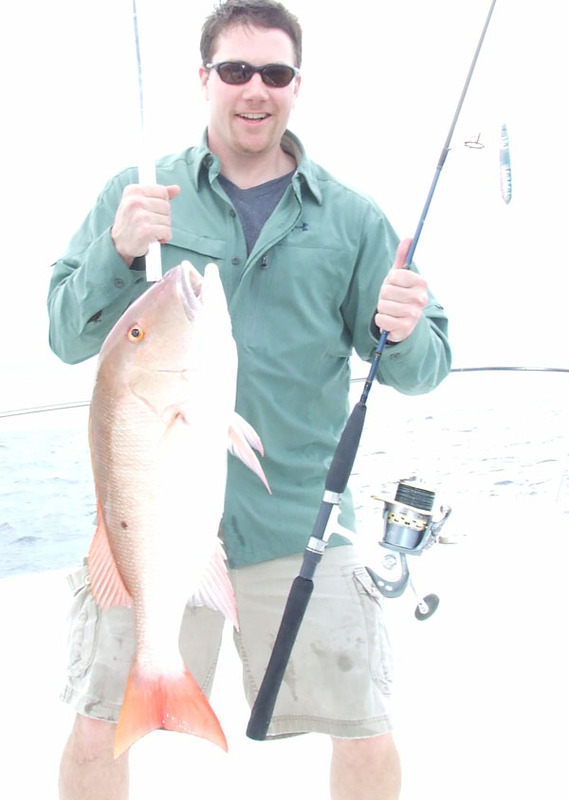 "high stick" full motions, and then lightly twiched and slowly retreievd the jig back to the boat. I think I hooked about 40% on the high stick motions, and around 60% while retrieving. 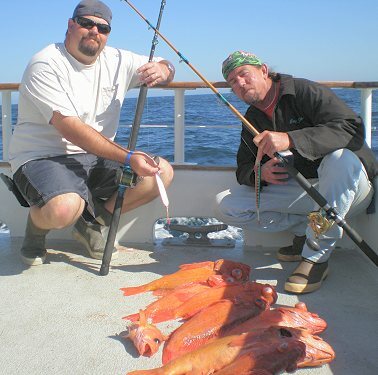 in only around 4 hours fishing time. Available in Four Color Options with matching skirts! Order Yours Below! 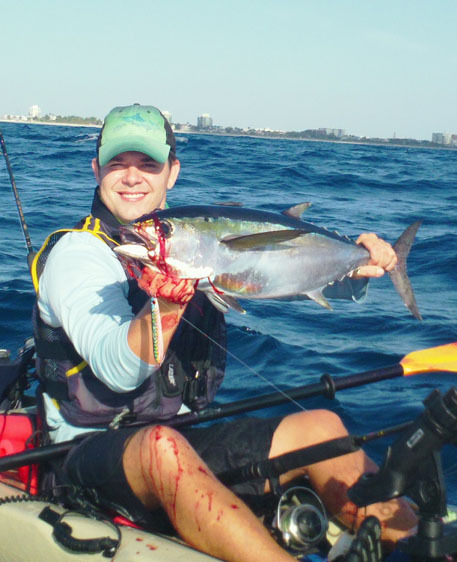 Ballyhoo Jig to easily catch Kings. This was shot on December 24, 2011 off of Juno Beach, Florida. and 3 to a Pack in 7/0 size. Guaranteed to be ultra sharp and strong. Also with the LOWEST PRICES anywhere. 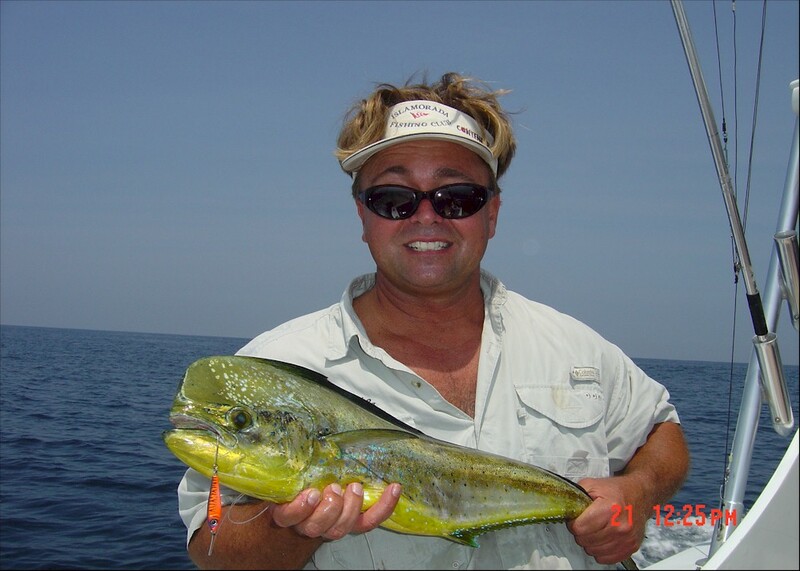 Click here to be transferred to our Jigging Hooks page. We may bring back later if enough people make noise... Get them while you still can. 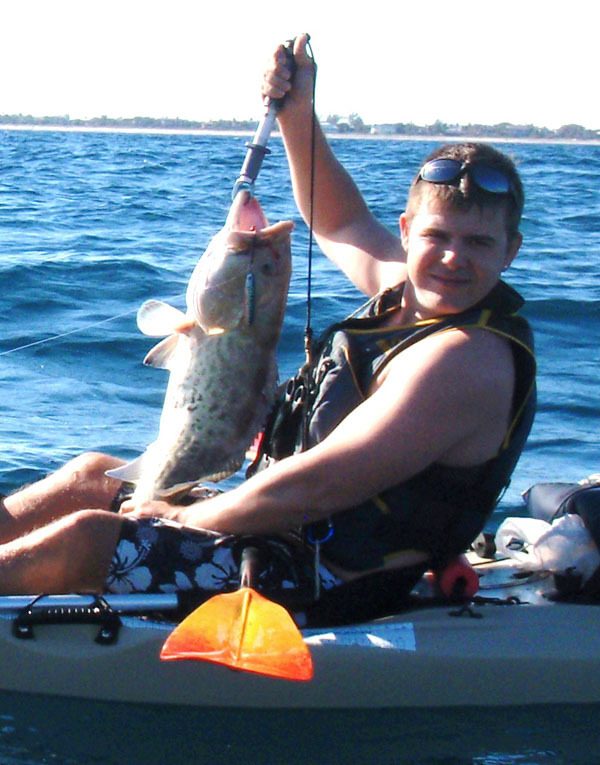 This jig recently produced the first recorded Tilefish ever caugfht from a Kayak! 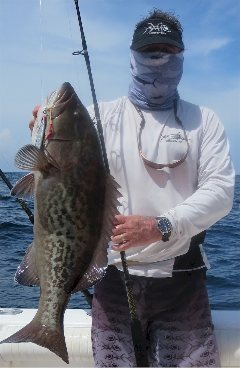 The same day, for the same angler, this jig produced TWO Gag Groupers simultaneously!!! (3.5" - 3 oz) - Even smaller version of this dynamite jig. Catches almost anything! 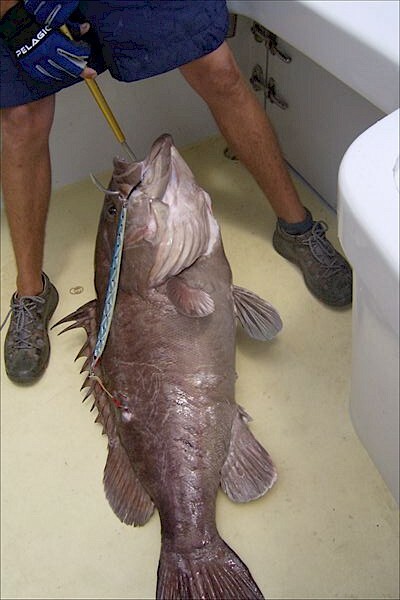 (I have never seen) caught off the California Coast. 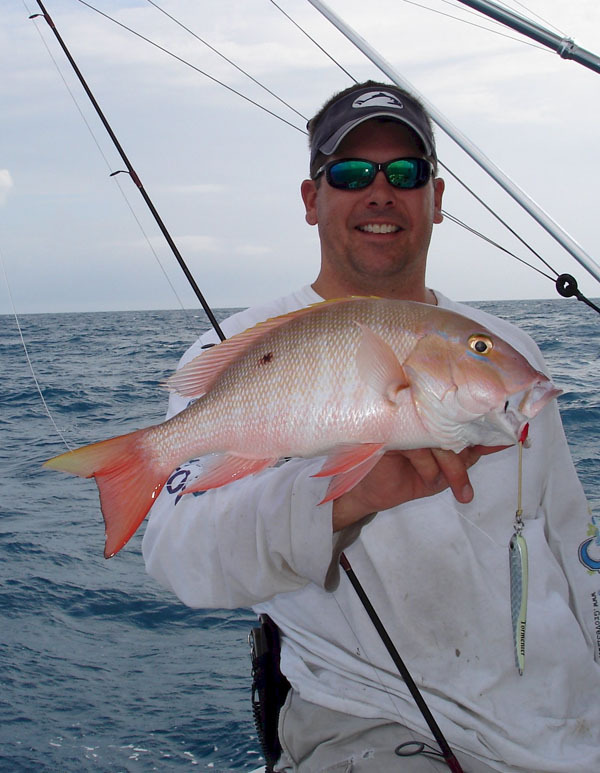 the attention and aggression of prized fish. 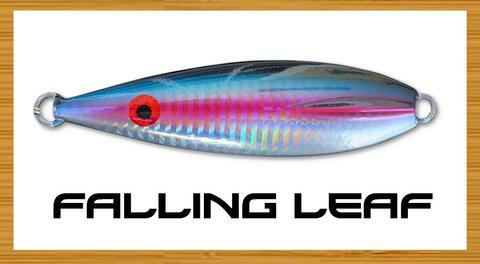 (4.5" - 4.5oz) Lead cast with premium long lasting paint job in highly productive color patterns. more. Comes Rigged with our 6/0 Dual Assist Hooks. Jigging Hooks - Available in 2/0, 3/0, 5/0, & 7/0. Either Dacron or cable! sharp and strong. Also with the LOWEST PRICES anywhere. 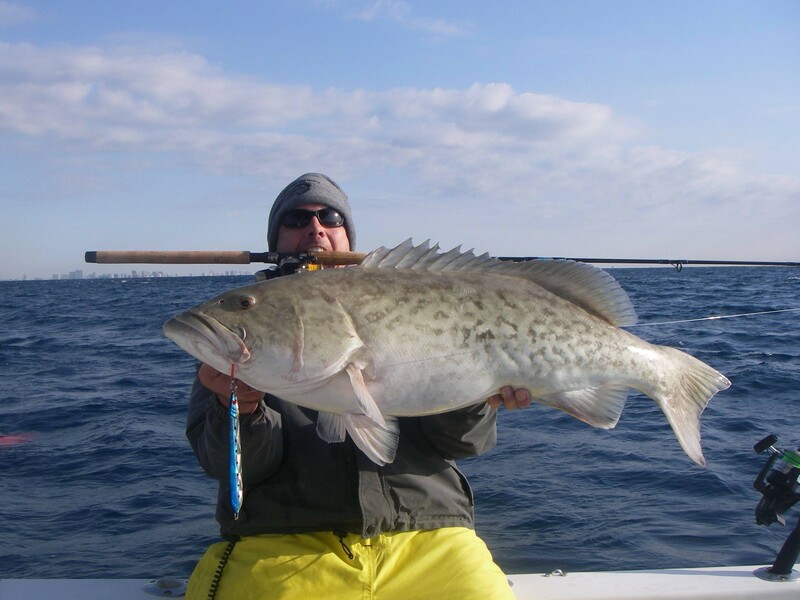 Many people have commented that this jig is "Too big", Well, not according to this Junior angler who landed this World Recod Snowy Grouper on the very first day he used it! 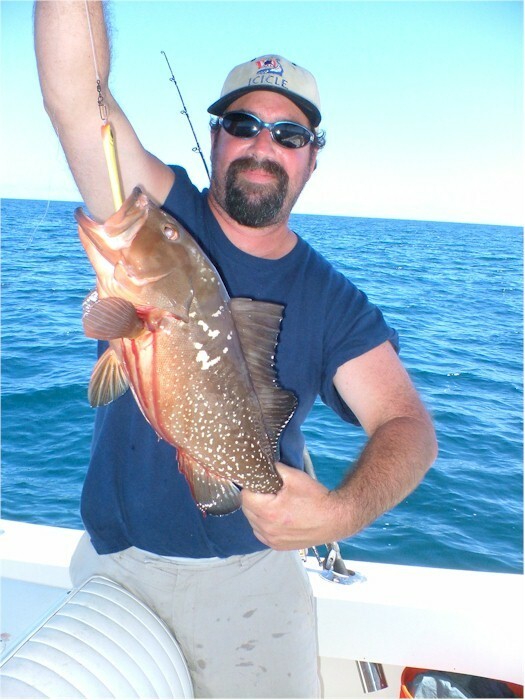 Snappers as small as 2lbs have been caught on this lure and it works great on Large Grouper and AJ's so order some now! 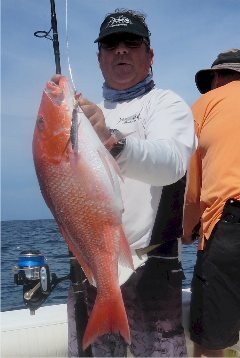 (14"-14.5oz) Lead cast and painted to look as prey for medium to large sized deep water predators. 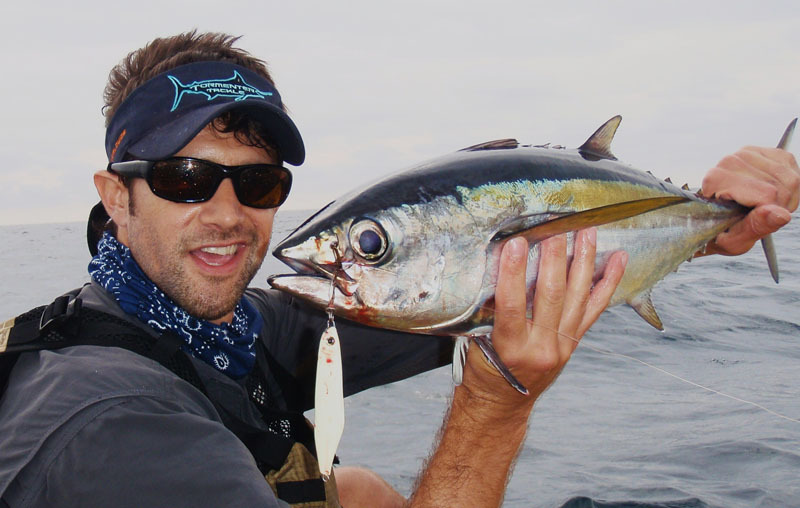 Flat and neutrally weighted to create jigging action where the Ribbonfish "floats" back down like a wounded fish that draws the attention and aggression of fish. Jigging Hooks - Available in 2/0, 3/0, 5/0, & 7/0. Either Dacron or cable! 4 hooks to a Pack in 2/0 - 5/0 and 3 to a Pack in 7/0 size. Guaranteed to be ultra sharp and strong. Also with the LOWEST PRICES anywhere. single 1.5x strength nickel plated hook. and will surely catch more. Comes with a 1.5x strength nickel plated hook.